Holiday greeting cards: you can buy them in a supermarket. You can draw them in crayon. 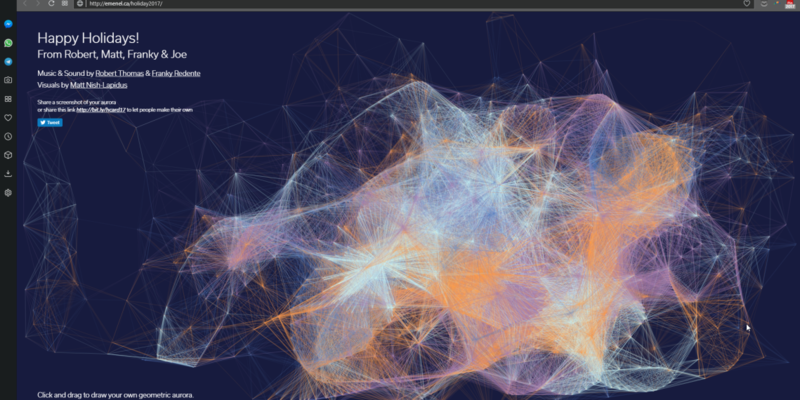 Or you can custom-code a generative interactive Web greeting.